When I first thought about using internet and web as a way of learning, I coined this “pedagogy” as netagogy. This from pedagogy to netagogy was the first paper written in 1994 that I have reviewed last year. The forces in place that will affect educational institutions and instruction in particular are many and varied; however, in observing the changes that have taken place in the locating of and instruction about remote information resources, there are some significant transformations to consider. These include the development of greater connectivity and networking in educational settings, the development of global education as an approach to interdisciplinary study, and the virtualization of information through computer mediation. I would like to attribute my use of Netagogy to this original paper. Here is the post in 2009 on Netagogy. Netagogy places emphasis on learning how to learn, with multiple loop learning, personal, social, global and nebulous learning opportunities, a multi-purpose and non-linear complex and emergent process. A multi-learner interaction coupled with self-directed Netagogy requires that educational and learning initiatives include the innovative and improvement practice of network and internet-based learning and technological skills, as well as learning experience on the multi-faceted perspectives and interpretations on various subject domains in the networks and internet. 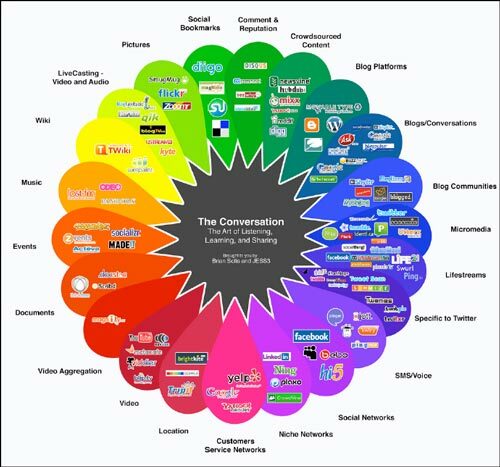 These could includeConnectivism, Networked Learning, Social Media Learning, PLE/N (PLENK), Virtual Learning Environment, LMS, Web 2.0, Information and Communication Technology, Mobile Learning and Digital/Online Learning. Further refinements are required on this Netagogy, as these are just my first thoughts. Here is my response to George’s post on Tutor/Mentor Connection. Hi George, I have been involved in Mentoring programs for years, have been a mentor in a professional mentoring program for a year, and am still providing mentoring within my organisation. I also found mentoring very effective in nurturing future leaders. I have however found some challenges with mentoring in a networked learning environment. Mentoring does require the setting up of personal goals and personal learning and action plans in order for the mentoring to be “effective”. This should normally be aligned with the personal vision and mission of the mentee, and in the case of corporate business environment, an alignment with the corporate vision and mission, if ever possible is expected or required. So, in theory, mentoring works best with the collaboration of mentors and mentees, in both achieving the learning and performance goals negotiated and agreed upon in the mentoring process. However, in a networked learning environment where learner autonomy could be more important than anything else, it would be necessary to make the necessary adjustment in the mentoring relationship that would be based on the mentee’s needs, rather than alignment with any corporate goals or vision, as that might intervene or jeopardize with the personal goals of the mentees. So, mentoring may be more effective in achieving personal learning goals rather than organisational goals. Also, the matching of mentors and mentees is a critical factor which could determine the success of a mentoring program, as the relationship established between the mentor and mentee would greatly impact on the outcome of the mentoring. Personal learning style, personality of the mentors and mentees would also be important consideration in the mentoring matching. The use of Web 2.0 and social networks could be important platforms for e-mentoring be designed and implemented. There are also implications such as the skills and literacy gaps between the mentors and mentees. 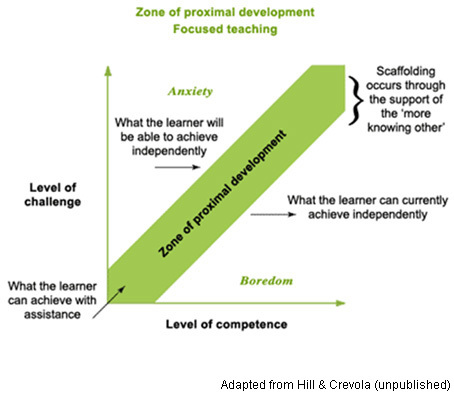 The concept of zone of proximal development is important here. Would mentoring be more successful and sustainable under a group (organisation) or networked learning environment? How would one ensure that such a mentoring program could deliver the outcome expected by the mentee? More researches may be necessary to understand the impact and implications of e-mentoring in social networks and online education and learning. Here is my first movie on Research on design and delivery of MOOC I enjoyed creating it. May we start the conversation on this research? This is a further reflection of my previous post on learners needs. 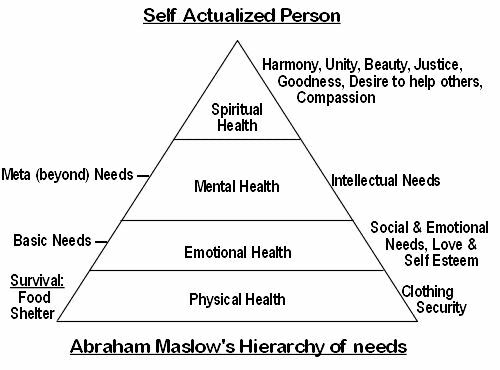 Thanks Mary for sharing the Maslow Needs Hierarchy in her comments. 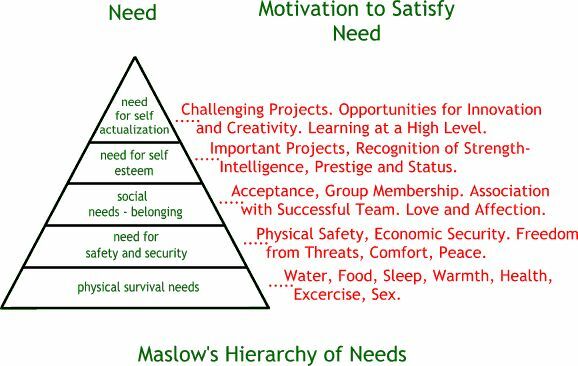 I like this post on Maslow Needs Hierarchy. There are some common themes with my suggested additional hats here on transformational thinking and additional hats where I suggested the colorless and purple hats as ways of thinking. In reflection, this seems to align well with the Spiritual Health – on harmony, unity, desire to help others, compassion etc. Source of : Maslow’s Hierarchy of Needs post. Would the need for self esteem and self actualization provide a pattern for understanding the needs of the participants (both instructors and learners) of PLENK? What are the needs of participants? 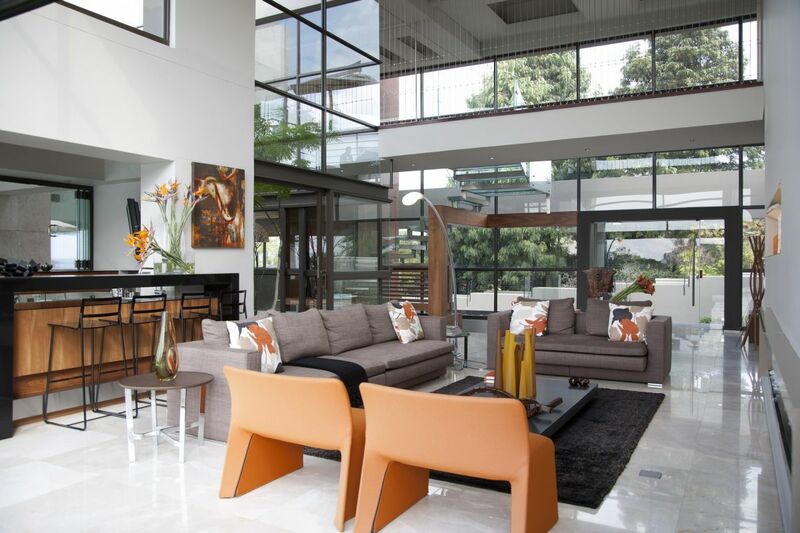 Are most aiming to satisfy their social needs, need for self esteem and self actualization? This paper on Why Share Knowledge? The Influence of ICT on the Motivation for Knowledge Sharing by Paul Hendricks provides an interesting insight into motivation of people in knowledge sharing. The simple equation that knowledge sharing is good for organizations cannot be sustained. Knowledge can be augmented if it is shared, knowledge sharing may also prove detrimental to knowledge. The first will occur if people truly learn from each other. The second is to be expected if inadequate representations of knowledge are transferred between people. Both the acts of externalization and internalization (see Figure 2) require that knowing subjects should recognize the value of the knowledge to be shared. Otherwise, there is no knowing how both these processes, that require active intellectual involvement of the knowledge sharers, are best constructed. The key to success in knowledge sharing is that the personal ambition should match the group ambition. Therefore, also the touchstone for successful ICT applications for knowledge sharing is the question how they relate to these ambitions, and to the motivation of knowledge workers to match them. 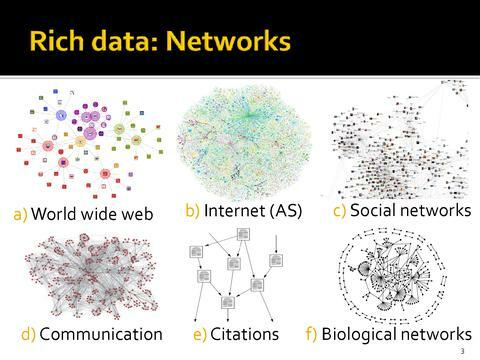 So, based on such learning, is the sharing in networks also sustainable? What are the motivations behind such sharing of knowledge amongst participants – i.e. networkers or PLENK participants? Would the touchstone for successful PLE/PLN applications for knowledge sharing be based on the ambitions and motivations of participants of PLENK? 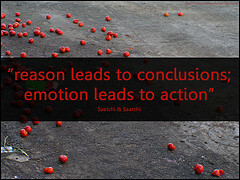 If so, what are your motivations as PLENK participants? I have been employing questioning techniques throughout my teaching career. 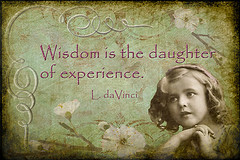 What I realized was that: The more I know, the more that I know I don’t know, especially through questioning. I may even be challenging myself with lots of questions, as part of the introspective reflection process. Since I participated in CCK08 (Connectivism and Connective Knowledge), I was further intrigued by the use of questioning in the forums. What are those fundamental challenges? Why do we need to create new tools? What functionality are we looking for? Are such functionality available from the existing tools? Do we have enough information here? Are the existing tools good enough? Why would we need to improve end user experience? What assumptions have we made on user experience? Why are the end users having difficulties in using the tools? How would we improve end user experience (with the existing tools that we/they use)? What and how are these questions based on? Why would we want/need to challenge our posters? Why would they pose these questions? What information have they gathered to justify the questions? What tools and criteria would you use to evaluate your questions and responses? Love what Jenny said here, the needs of learners come first. Once there was an interesting motto: Customers are always right – they are the kings and queens, without them, the business won’t survive. Sounds true. Whenever I posted such a motto to my students, they would be excited to debate. So, if I were to re-phrase it in education: Are learners always right? At least about their needs. Are learners’ right under the perception of educators? Could we fulfill our learners’ needs? If yes, they would be satisfied and happy. If not, why not, and how could we help and support them to fulfil their dreams (as peer learners or educators)? Would that be one of the keys to success in MOOC? Where many of our needs are so much different, how could we have some connective needs? Are we trying to satisfy each other, apart from ourselves? Which of the following designs suit our learners? She (Maria) would like learning button where people could go to for answers to Socratic questions about a certain topic. Of course first a great number of people should be willing to ask the questions, but if enough people engage in it, a world of questions would be out there related to the interests of many people. She sees intrinsic motivation as the major driver to learning and envisages learners to want to engage to satisfy their natural curiosity. You can find a paper in which she elaborates on it here. My guess is that connectivists will find the questioning too structured as people would not be in control of their own learning, and won’t be actively engaged in producing artifacts. But if the pool of questions would be large enough in the fashion similar to the development of the wikipedia, and reach a tipping point, the thing would start to lead a life of its own, people would like to get involved and people would be able to see it as a bit of fun, some intellectual sparring. I think it depends on the learners’ needs rather than the educators’ needs. However, educators’ needs are important too, as they could play an important role in inspiring their peer educators and fellow learners. First, such way of questioning is already a way of teaching for decades, under the didactic teaching pedagogy. Are the learners engaged in the teaching process? Again it depends on the questions posted, whether they are relevant to the learners’ needs. May be if the process of inquiry and Socratic questioning is built around learners’ needs (curiosity), then it could reach a “critical mass” of knowledge “creation” or curation as suggested by Rita. Second, this quora could be the platform that would allow such Socratic questioning and “peer learning and sharing” to occur and develop in social and educational networks and media. These may be competing with Twitter and Facebook in the microblogging and questioning. May be it’s still too early to know if it would develop into the sort of wikipedia that is popular. Postscript: Interesting to read Jenny’s post on the place of content in teaching and learning. I think some content knowledge is still important in the early stages of learning, like that of the building of a house, which forms the foundation of knowledge. However, higher order learning (or deep learning) goes far beyond the content, and that requires a deep reflection on the metacognition, and a balance between connection with tools and artifacts (for information and knowledge creation) and continuous reflection on critical literacies and critical thinking, that would enhance ones learning (learning to be). Time and information management: Some participants found it ok in managing their time in the course whilst others often found it hard, due to personal reasons and often feelings of overwhelming amount of information to be covered, and didn’t feel comfortable in the “selection” and filtering of resources or artifacts. Facilitators did attempt to “intervene” or instruct by convincing or influencing participants the importance of focus and clustering. Also, a “survey” type of collective inquiry was initiated in the forum to gain a deeper understanding of the major challenges and issues in such management of time AND learning in the course PLENK. Connections: Participants often wondered how their voices would be heard in such a MOOC PLENK, whether it be in the blogs and or forums. Stephen responded with explanation on how to be heard. Often there seemed to be a lack of responses or comments even after the participants have made repeated attempts and extra efforts in trying to connect through their blogs or posting in forums. The trend in the forums did show a decrease in the number of postings, whereas the number of blog postings did show some increase throughout the past weeks. The facilitators did attempt to convince and influence the participants to move the discussion to blogs, so as to reduce the impact of overwhelming of information or “information overload due to discussion in the forum”. Some discussion on having concise posting was raised, but there were some divided opinions in the forums. Some connections in the forum seem to have focussed on more in-depth discussion of the pedagogical aspects of PLE/N, that could foster conceptual connections. However, the connections were again rather diverse and “weak” and that left with some evidences of critical thinking and evaluation. More evidences of research support may be necessary to substantiate those claims. The facilitators (Rita in particular) did attempt to cultivate the connections through more facilitation with research findings, coupled with personal insights. This reinforces some of the more emergent concepts arising from the MOOC – (a) learner autonomy, (b) power issues, and (c) critical literacies. Besides, the notion of openness in MOOC (PLENK) were raised by various bloggers Jenny Mackness, David Wiley, Stephen Downes, George Siemens, Dave Cormier, Rita Kop, and participants, which all relate to how openness would have impacted on the social/personal connections that would be made, the implications arising from the use of Open education resources (OER) or open resources would have influenced education and the associated connections (i.e. how people connect with artifacts (is it freely and openly, or people have to pay or subscribe to access the resources), and the connections with facilitators, other participants through tagging, curating etc. 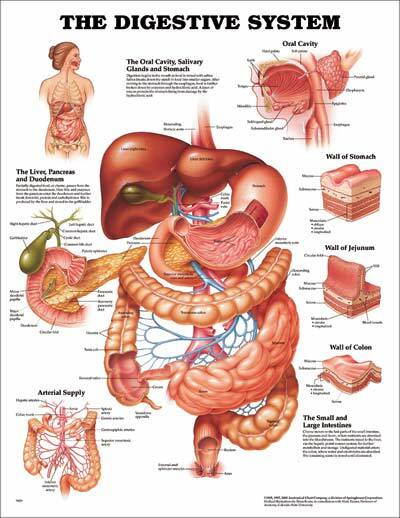 Personal Learning – This relates back to how individuals learn in PLENK. 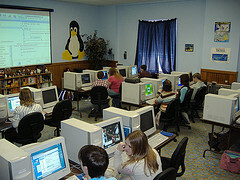 At this stage of the course, many participants still thought that they might have managed their learning to certain extent, through the use of PLE (as tools, platforms of learning, and certain connections with facilitators, some other participants, and artifacts through the LMS (forums), Daily, Elluminate, and Twitter etc. However, it seems that many participants are still not yet able to fully connect with others as “clusters”, or groups as yet, as reported by various bloggers and forum posters. May be this is a plateau period of interaction, where participants are spending more time in reflecting on what they have learnt so far (as shared by Jenny here), and are more hesitant in further connections unless they perceive further values added to their learning with posting in forums, in particular. There is also a plausible explanation: some participants who have learnt about critical thinking would like to practise the critical thinking as a personal development process. As critical thinkers, such participants would likely withhold judgment, think more critically by analysing information, evaluating evidences and making judgment more cautiously, before expressing their views or comments in forums or blogs. Such reflective thinking also means a higher level of personal learning with cognitions and thus may be a demonstration of critical literacy as espoused by Stephen Downes (refer to elements of critical literacy: syntax, semantics, pragmatics, context, change and cognition). George also highlights the importance of critical literacies here and managing information in learning through PLENK. Further evidences are required from this research to substantiate such claims on personal learning and critical literacies capacity development. Power and influence: The power and influence exercised by the facilitators and participants has been nuanced, but have surfaced in the forum postings in numerous settings, where certain opinions or beliefs have been challenged by both facilitators and participants in exchange, and in blog postings, here facilitators tried to convince participants the primacy of connections and importance of managing chaos, filtering or selection of information, curating of information, and the tolerance needed in face of ambiguity, chaos, complexity and abundance of information. There have been warm welcome of such instructions and influence by some participants, as evidenced in the Elluminate and blog postings. More learning analytics and further research findings are required to substantiate such claims.